Arduino Nano off 9V : is there any change to output? 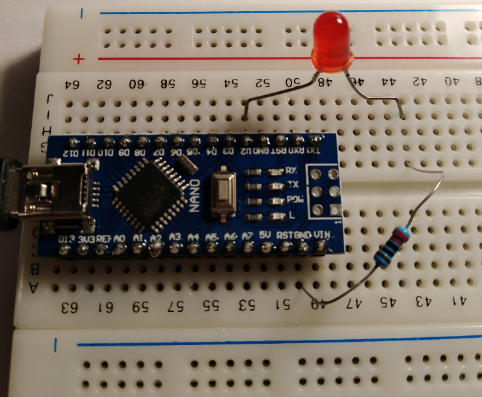 I'm building a test circuit on an Arduino Nano that consists of a simple 220 Ohm resistor and an LED on pin D2 which is routed back to GND (ground). It's running a very simple program to blink the LED on and off. It all works while connected to the USB port. I know the USB port provides 5V. Now I want to run it my Nano and circuit from a 9V battery. 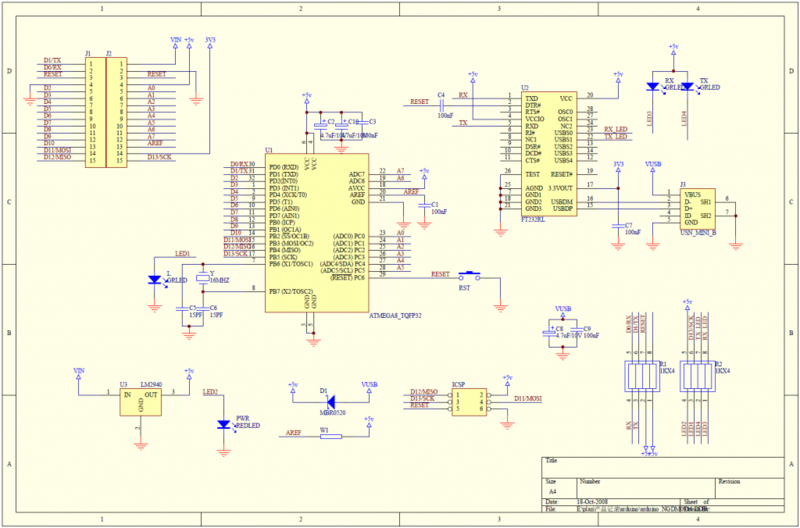 The datasheet says that you can run the Nano on 6V -12V by connecting it to pin 30 (VIN). Of course, I know I'll have to add a line from GND back to the (common) battery ground also. When I do that, the voltage on the OUTPUT pin (D2) will never be higher than 5V though, right? I should not expect any change in output voltage even though I'm changing voltage that is powering the Nano, correct? It looks like VIN connects to a LM2940, 5 volt regulator, so the voltage on the OUTPUT pin (D2) will never be higher than 5V. Not the answer you're looking for? Browse other questions tagged arduino-nano pins voltage or ask your own question. Arduino: How does digitalRead read a value? And what is this value? How to add extra USB port to Arduino Nano? Why does my Arduino Nano send the wrong voltage on a digital output PIN? Have I fried the voltage input on my Arduino Nano?